Design and construction of an enclosure over an existing 18 metre learn to swim pool. The structure features counter weighted glass doors which span between concrete buttress supports on three sides of the structure. Design brief included a requirement to maintain access for swimmers to the Olympic Pool at all times. 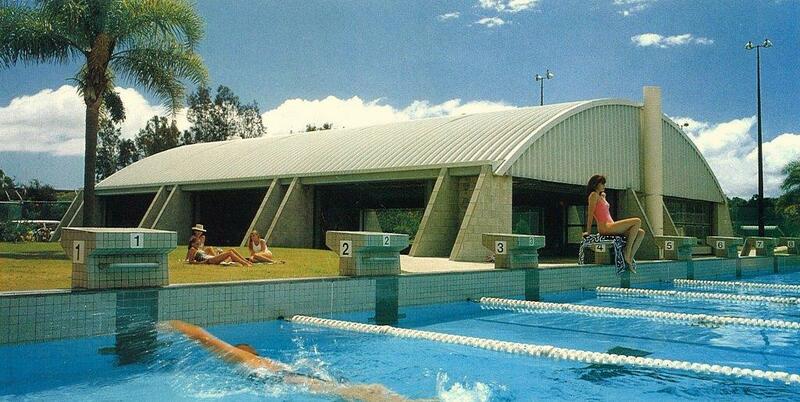 Additional works included the construction of a flat roof structure over the hydrotherapy pool.